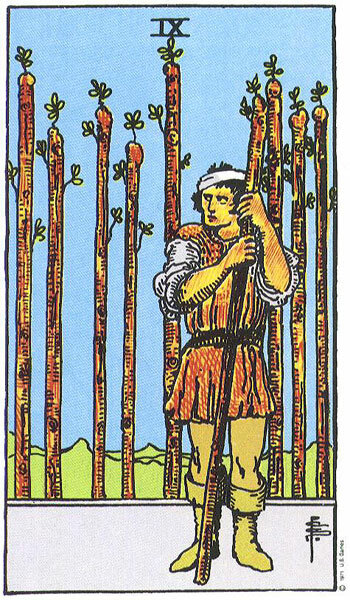 When I tried to draw my usual two cards for the day, FOUR cards jumped out of the deck at me: Six of Wands, Four of Wands reversed, Nine of Wands, and the Knight of Wands. 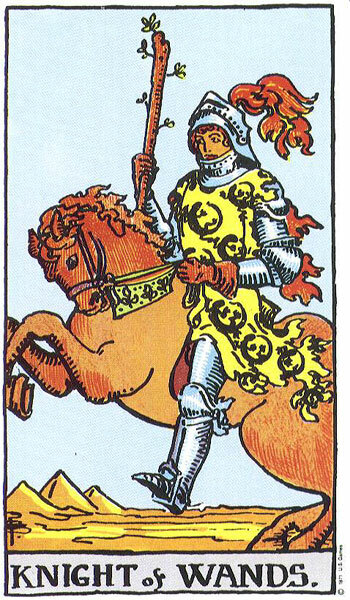 I feel this is a tremendously high energy day, a day in which our creativity seems almost to be struck by lightning (or pushed forward by a sudden updraft, like my cards!). 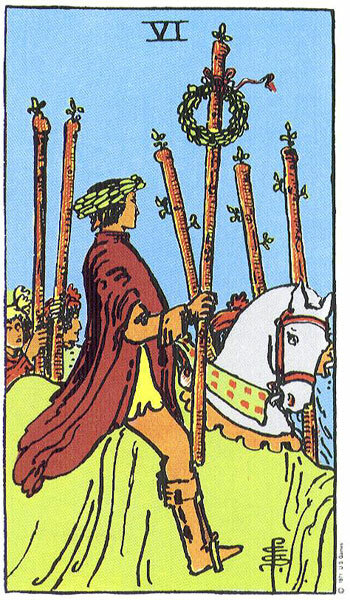 But one thing gives me pause, and that is that there may be a tendency in all this to focus on ourselves and not on benefiting others (acclaim for one person on the Six of Wands card; the Four of Wands, which upright is all about celebrating relationships, being reversed; the fence of wands on the Nine of Wands card). Let’s not be too arrogant with our airy intellectual energy. That said, ride the wave — or the wind, as the case may be! Take advantage of today’s energy to do the things you need to do. 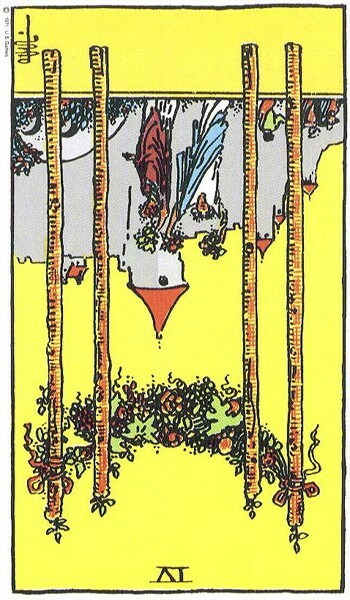 Next The Spiritual Path: Why Tarot and Not Ministry?